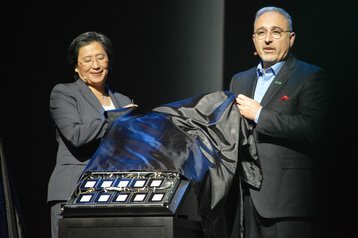 AMD has officially launched the Epyc x86 server processor, as it looks to challenge dominance of Intel in the data center. 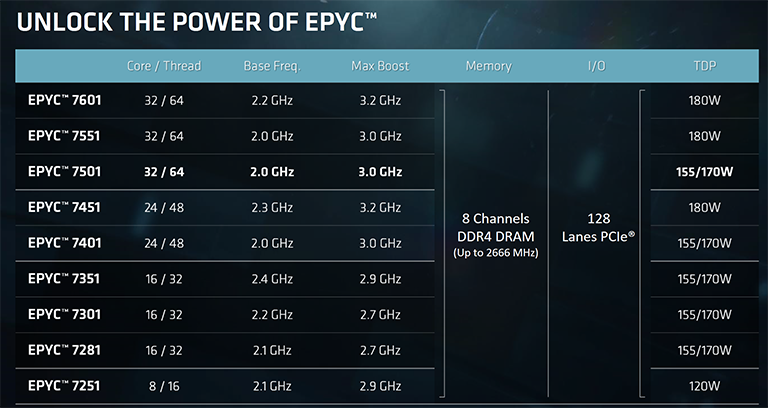 Built around Zen microarchitecture and previously known as Naples, processors in the Epyc 7000 series range from the eight-core, 16-thread Epyc 7251 running at 2.1 to 2.9GHz in a 120W power envelope, to the 32-core, 64-thread Epyc 7601 running at 2.2 to 3.2GHz, with a 180W thermal design point. “Every Epyc processor is unrestrained, which means that all of the processors that we have here in the Epyc product stack are fully capable and fully featured from an I/O perspective, from a memory perspective, and from a security and reliability perspective,” Scott Aylor, corporate VP of the enterprise solutions business at AMD, said at a launch event in Austin, Texas, attended by DCD. “On top of the two socket solution, we have this concept of a no-compromise one socket solution,” Aylor said. “We’ve architected Epyc with this one socket mindset in mind, and this really gives you this capability to right-size or optimize your servers. There’s many different statistics about how many OEM systems that are two socket capable are populated with one socket, and those again are things that are opportunities for optimization. Pricing was a consistent theme at the event, with the company claiming that not only is the chip cheaper than its competition, but because it can do more, “when you buy an Epyc processor, you will be able to get 70 percent more performance at the same basic pricepoint,” Aylor said. 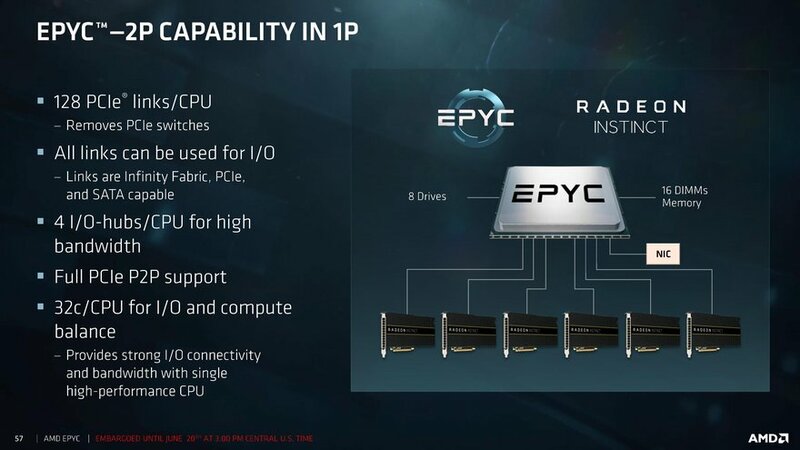 Among the features of the Epyc processor AMD was keen to tout were advances in security technology, like Secure Memory Encryption that allows for full encryption of data stored in DRAM. “We also have a capability called SEV, Secure Encrypted Virtualization, and this allows individual virtual machines on the part to be assigned a unique cryptographic key that means that they are cryptographically isolated from each other, but they are also isolated from the OS hypervisor and administrator layer as well,” Aylor said. “With our Epyc family of processors, AMD is delivering industry-leading performance on critical enterprise, cloud, and machine intelligence workloads,” Dr Lisa Su, president and CEO of AMD, said. 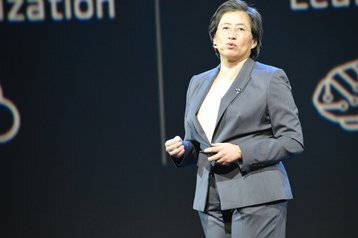 That ecosystem of partners will be crucial if AMD hopes to increase its market share - which Su told DCD “could generously be described as rounding to one percent” - and provide true competition to Intel. At the launch event, HPE, Dell, Asus, Gigabyte, Inventec, Lenovo, Sugon, Supermicro, Tyan and Wistron said that they would deliver products based on Epyc. “The Epyc processor represents a paradigm shift in computing and will usher in a new era for the IT ecosystem,” Antonio Neri, executive VP at HPE, said. In a statement, Intel said: “We take all competitors seriously, and while AMD is trying to re-enter the server market segment, Intel continues to deliver 20-plus years of uninterrupted data center innovations while maintaining broad ecosystem investments. Our Xeon CPU architecture is proven and battle tested, delivering outstanding performance on a wide range of workloads and specifically designed to maximize data center performance, capabilities, reliability, and manageability. While Epyc handily outperforms Broadwell, Intel’s Skylake chips will be out later this year, with the company promising it will help it maintain its 98 percent share.